A Revolution in Motion Control? New Pictures From The Hobbit! When you've created as ambitious a game as Call of Duty: Black Ops 2 is sure to be, maybe you've earned a few victory laps. In the video below, watch as pretty much the entire game industry delivers kudos to Treyarch, the team behind Black Ops 2, for the multiplayer in the game. G4 is quoted in the video, but if you want a more in-depth look, check out our Call of Duty: Black Ops 2 preview. Total War: Rome 2 aims to improve every aspect of the Total War series. We spoke with Lead Designer James Russell about combat, graphics and making each battle count. Total War: Rome 2 will exist on a grand scale for the "ultimate empire building strategy game." Starcraft 2: Heart of the Swarm is the first expansion for Blizzard's incredibly popular StarCraft 2. We recently got the chance to chat with Senior Game Producer Kaeo Milker and Game Designer David Kim about game's single and multiplayer. The two go in to detail about how things are changing up this time around, and discuss some of the new multiplayer units that will be making an appearance in HotS. Check it all out below. Before we knew it, the ships pulled up and our soldiers disembarked into a bloodbath. Watching the armies fight one another is a sight to behold, as thousands of troops are on screen at once going at it. Carthaginian defenders sat atop walls firing arrows while our troops formed ranks to charge up the beach and assault the city from every angle. For more, check out our full Total War: Rome 2 preview from Gamescom 2012. X-Play has a preview of Ubisoft's action-adventure title Remember Me. The game was announced at Gamescom 2012 so we only know a few details. We knew you'd want to know more about Remember Me so we went straight to the Game Director, Jean-Maxime Moris, to find out everything! Strike Suit Zero: Space-Combat, Ho! We got to play Strike Suit Zero at Gamescom 2012, because we're cool like that. The space-combat title from Born Ready Games pays homage to classic flight simulators like Wing Commander and Homeworld, and gives the people what they want. 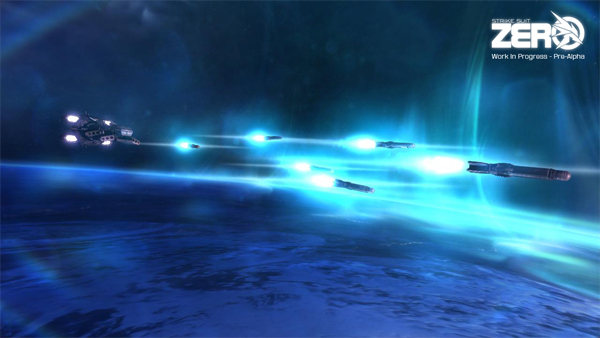 Let's face it: Space-combat fans haven't exactly been served much by recent games. Strike Suit Zero takes place in outer space far in the future after Earth's colonized the galaxy. The story's still not quite there yet, but as far as I can tell, not everyone in the galaxy is happy about Earth's colonization. So much so that one alien race has sent a relic to Earth to try and destroy it. It'll be up to you to stop the Earth's destruction by suiting up and piloting different ships and taking out your enemies before they can get the relic to their destination, and your home. Read the rest of our Strike Suit Zero preview. 2012 is going to be a great year for James Bond fans thanks to 007 Legends. We spoke with with Dino Verano, a producer at Activision, about 007 Legends' multiplayer modes, stealth FPS gameplay mechanics and their post-launch DLC plans. All this and more in the video below. Check it out! 007 Legeneds will be released on November 20, 2012. Batman: Arkham City Armored Edition will boast some rad new features for the Wii U. We got a sneak peak at these features thanks to Warner Bros' Kelly Ekins. You may have played a Batman game before but you've never played it like this. Batman: Arkham City Armored Edition does not have a release date as the Wii U still does not have a release date. Wildstar is the new MMO from Carbine Studios that's continuously finding new ways to differentiate itself from the pack. In our latest interview with Wildstar's Executive Producer Jeremy Gaffney, he gives us insight about the game's strategic combat and goes in to detail about Wildstar's different characters, classes, and ways to play. For more on Wildstar, check out our recent Wildstar preview from Gamescom 2012. The zombie infested Arma 2 mod DayZ has become so popular that it's now getting its own standalone game. At Gamescom 2012 we got the opportunity to interview Dean Hall, the project lead on DayZ and the creative mind behind the mod. In the video below, he explains just what DayZ is and what inspired him to create this post apocalyptic, unforgiving world. Dean Hall, I still owe you a water! Fan favorite comic book character Deadpool is finally getting his own, full fledged game, Deadpool, developed by High Moon Studios. 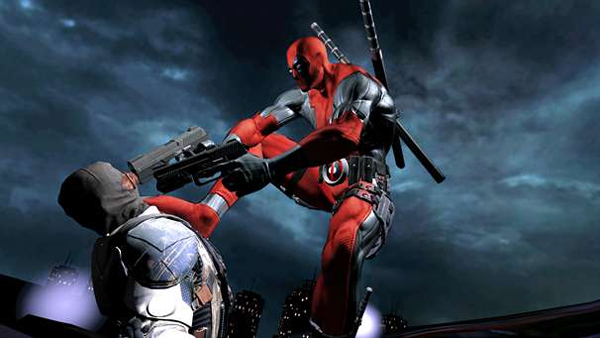 Fans of Deadpool the character should be reassured by this over-the-top action's game's adherence to the source material. Deadpool is good. Rob "Rock and Roll" Manuel checked the game out at Gamescom 2012. Here's a little bit of his Deadpool preview. "Even during the craziest of fights, quips and one-liners practically fill every moment between the bullet casings hitting the floor and the ensuing explosions rocking the building. Deadpool still finds time between every squeeze of the trigger to argue with himself about anything and everything going on in the scene. If a new enemy appears with a shiny new gun, he won’t stop talking about it with his multiple personalities until he gets to fire off that new toy for himself." Read the rest of our Deadpool preview. 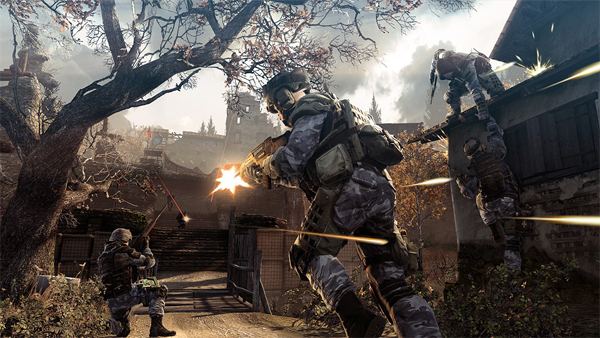 Warface was one of the biggest surprises to come out of Gamescom 2012. Crytek's free-to-play shooter impressed con-goers, and G4's Leah Jackson was no different. She's pretty confident Warface has the potential to become a thrilling shooter experience. Here's a taste of her hands-on Warface preview. After getting my hands on Warface, I was pretty blown away by what Crytek has managed to accomplish. I can see the random daily missions appealing to a wide a variety of gamers, and on top of that, the game has a level of polish that we're not used to seeing from today's other free-to-play fare. With Warface's release, Crytek is setting the standard higher than ever before, and I can't wait to try to tackle the challenging missions with a group of friends when the game goes in to beta this fall for the PC. For everything Warface, check out our hands-on Warface preview. XCOM: Enemy Unknown will have more than a killer single player mode. It's also going to boast multiplayer, but with an XCOM twist. We spoke with Jake Solomon, Lead Designer at 2K Games, about XCOM: Enemy Unknown's multiplayer mechanics. Tearaway was one of the major announcements from Sony at Gamescom 2012. The game comes from the same studio who brought us LittleBigPlanet, Media Molecule. We sat down with Alex Evans and Rex Crowle from Media Moecule to talk about how Tearaway will change the way we play with the PS Vita. Fighting game enthusiasts have had their hearts set on a true superhero fighting game. Their prayers have been answered with NetherRealm's Injustice: Gods Among Us. We spoke with Erin Piepergerdes, a producer at NetherRealm Studios, to discuss gameplay mechanics and superheroes. Find out what makes Injustice: Gods Among Us a fighting game like no other. © 2012 G4 Media, LLC. All rights reserved.